Mesh WiFi networks offer fantastic coverage and, among the very best mesh WiFi systems on the market is Netgear Orbi. Which is why this stunning deal in the Amazon Spring Sale has well and truly caught our attention. It's so good as you get the Netgear Orbi Ultimate Whole Home Mesh WiFi System, which delivers not just the Orbi mesh router but two satellite extenders as well, for 36% less than usual, which is a straight saving of £170. Mesh WiFi systems are absolutely brilliant at not only delivering high-speed, high-reliability WiFi coverage, but also at eradicating any dead spots in your home network. 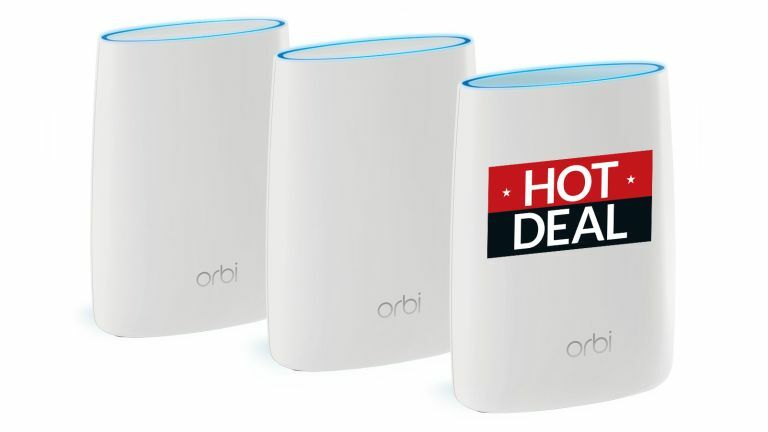 One of the very best mesh networks on the market is Netgear Orbi, and its Ultimate Whole Home package, which includes the Orbi router and two satellite WiFi extenders, is the most comprehensive package on offer today. In our full Netgear Orbi review, we said that "the system was incredibly easy to set up, and it’s been rock solid ever since. There’s even great performance when several devices are using data at once thanks to MU-MIMO." We then concluded that the Netgear Orbi was a "powerful, simple and stylish Wi-Fi router". As such, we think this really is a great deal if you are currently in the market for a new router or WiFi system, and especially so if you have large home that struggles to be filled coverage-wise by your existing system.